The Telegraph has this astounding story. They say that, before her death, an 85-year-old Austrian woman withdrew €950,000 and shredded it, apparently just to spite her heirs. I say again: Damn, girl. Do you suppose she used scissors? Maybe a meat cleaver? Or did she feed each bill through a shredder, cackling all the while? 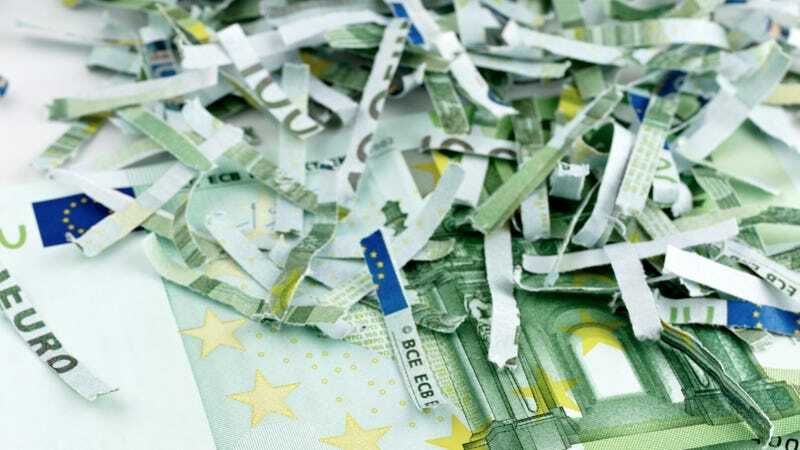 Friedrich Hammerschmidt, the deputy head of the country’s central bank’s cashier division, the Oesterreichische Nationalban, told local newspaper Kurier Daily: “If the heirs can only find shreds of money and if the origin of the money is assured, then of course it can all be replaced. Does that mean they have to go digging around through the trash? If so, that’s even harsher than the shredding.